Andy McCann has been tested in a range of situations, with commercial clients who operate in highly competitive environments, to elite sport and military environments. Andy's private sector experience spans Financial Services, Manufacturing and Professional Services. Andy's public sector experience includes Health, Education and Local Authorities. His third sector work has involved national charities and local community groups. In addition, Andy sits on the Sport Wales Advisory Group and the Welsh Advisory Committee for the Stroke Association. Andy's work has been described as 'cutting edge' (Daily Telegraph) and he is regularly featured in the national press and on TV and radio. Andy has an interest in the development of mental toughness and performance. A visiting / associate lecturer at a number of universities in England and Wales and an elected Fellow of the Royal Society of Medicine he has been a commissioned writer for a diverse range of publications. 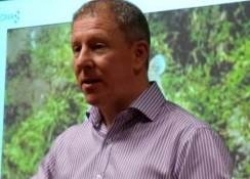 A popular conference speaker, Andy McCann has spoken at various national business events where his accessible style draws from an expertise including over 25 years combined experience of education, business, neuropsychology and elite sports performance.